The virtual world is a strange place, and how rapidly anything can go viral is often hard to explain. Especially, when it comes to famous personalities.One such instance involves Malala Yousafzai‏. 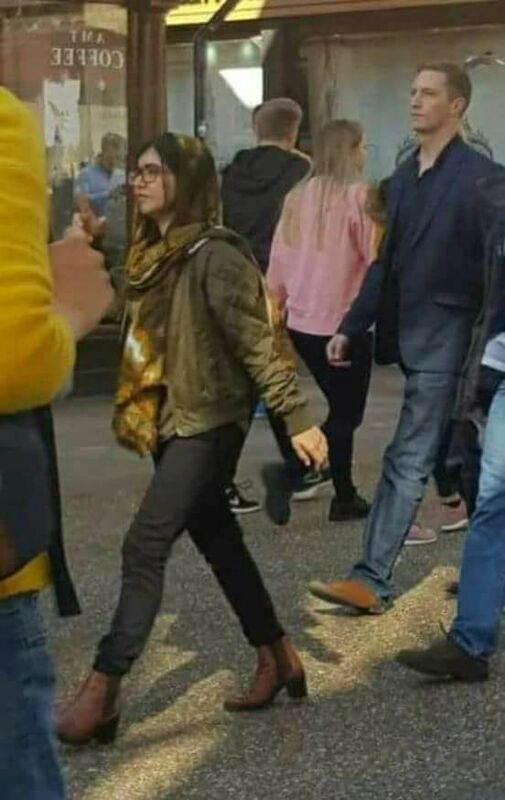 A photo that is being touted as showing the young Pakistani leader wearing a pair of jeans and jacket is going viral and led to a huge debate online. The photo – which is yet to be verified if it really is of Yousafzai or not – initially surfaced recently on social media and Facebook group, has got everyone talking. Captioned with, “Malala Yousafzai in UK”, the photo has gone viral with over 2,300 shares in less than 24 hours, at the time of writing. The photo has now reached Twitter and Instagram too. And as usual people who are ever ready to give their ‘righteous’ opinion pounced upon Malala for the attire. However, amid the sea of haters, there were others who supported Malala through and through.